Golden Boy Promotions CEO Oscar De La Hoya says he's got big plans for WBA/WBC middleweight champion Canelo Alvarez. Canelo is only days away from his upcoming contest with Rocky Fielding this weekend, and De La Hoya tells TMZ Sports a 3rd fight with Gennady Golovkin will definitely happen. Canelo fought Golovkin to a controversial rematch back in September 2017. They met a year later, with Canelo winning a very close twelve round majority decision. When we asked if he was gunning for Golovkin, Oscar downplayed it. First up is Fielding at Madison Square Garden in New York CIty -- and Oscar says he expects nothing short of a knockout. 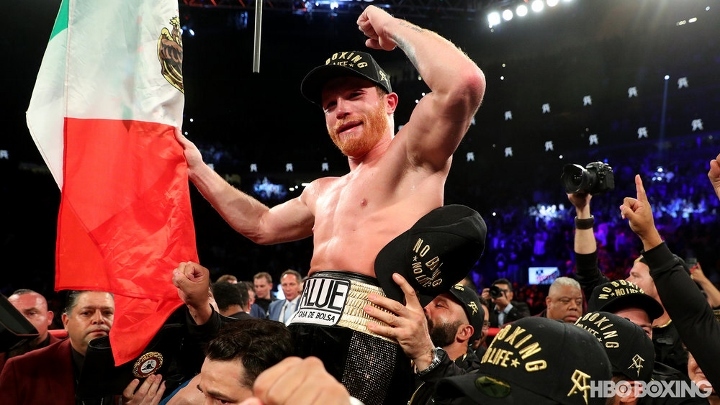 The contest will mark the first bout for Canelo at the full super middleweight limit of 168-pounds, as the Mexican superstar attempts to capture the WBA "regular" world title. Callum Smith, who knocked out Fielding in one round, is the recognized WBA champion at the weight. Fielding has won six fights since. You cheated the man twice, I think he's moved on. Good luck getting Mayweather back in the ring frauds. Rocky "the street cleaner" Fielding, SMH.